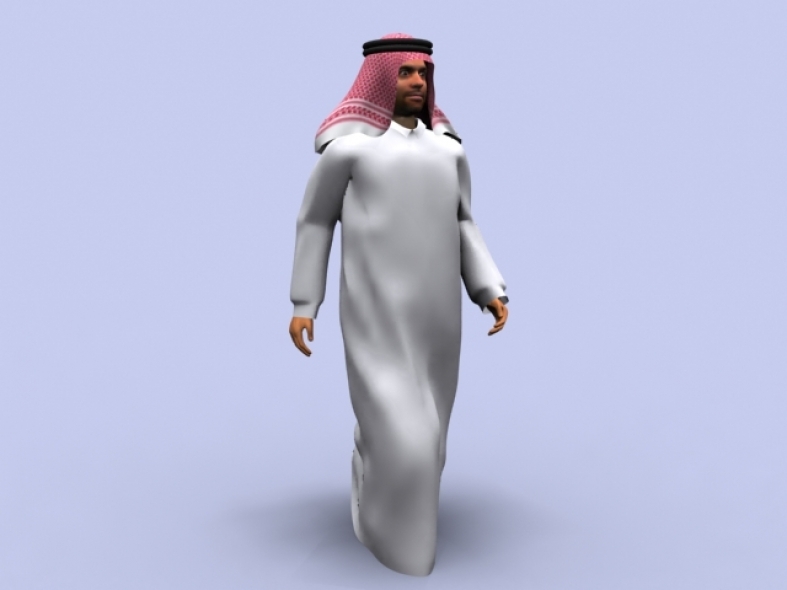 Animated 3d model of Arab man in 3ds Max format. Compatible with Max 2009 or later. INSTRUCTIONS: 1. Extract the Arabfiles.zip 2. Merge ArabAnimated.max file into your Max scene. 3. Position the model to your desired location in your scene. Point-cache modifier can be adjusted the settings for variations in walk cycle. Note: You can duplicate the model in your scene as many as you want. You now have a scene with animated Arabs! Do you have any comment or questions about 3dmodelmaker file?